A large, white van emblazoned with the VCC logo is a familiar sight on many mornings at school campuses in Vista and Oceanside. Inside the dental clinic on wheels, VCC dentists and dental staff deliver care and education to school children on the importance of good oral health. 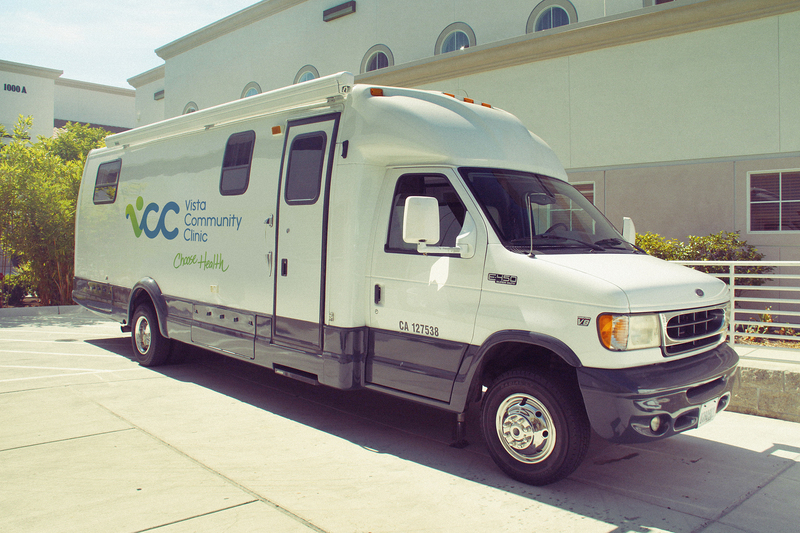 The mobile dental health program by VCC, known as A+ Teeth, began in 2014. Since then, it has grown to include 25 school campuses and is expected to log 3,000 student visits by the end of the 2015-16 school year. Students receive screenings, sealants, fluoride varnish and dental hygiene instructions. They also get a dental report card with the findings of the visual examination and suggestions for follow up care. A VCC care coordinator works with families of children who need follow up dental work. A+ Teeth is open to all students whether they have dental health insurance or not. According to the American Academy of Pediatric Dentistry, tooth decay is the most common childhood chronic disease which adversely impacts a child’s growth and development, and school learning.